The most important aspect of a hosting company is the hardware which the service runs on; The Servers used have a large effect on a hosting companies reliability and performance. 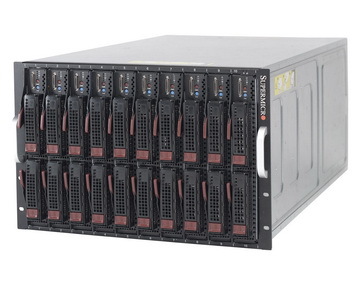 Our servers are built around a Supermicro chassis and motherboard. Supermicro has a reputation for for very high quality components and great reliability from the power supply down to the bearings in the cooling fans. Supermicro motherboards are considered to be the best in the web hosting and server industry. One of the fastest server processors. The 64bit and Hexa-core technologies give our servers amazing performance and allow for faster loading of web pages. This is the memory of the system where web pages and scripts are stored when being used. With a server, a large amount of memory is needed. We use DDR4 memory for maximum speed to make the system run as fast as possible. We use LSI RAID disk arrays controllers to protect your data against hard disk failures, and allows us to offer our users generous web space allowances. RAID 10 gives amazing performance making the server run smoothly and your sites to run as fast as possible. Our Shared Web Hosting Servers have SSD Drives as standard, which means Improved performance due to faster read/write speeds allow websites to load faster. Improved uptime. With a SSD drive a server can handle more overall disk read/write requests before becoming overloaded. Having dual Gigabit network cards is used by us to allow maximum data transfer for amazing performance.